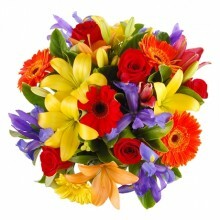 Salvador Flower Bouquet blooms with vibrant colors and life. 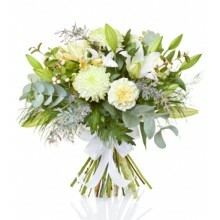 Send this lovingly hand-tied bouquet and brighten the day of your special recipient in Brazil. 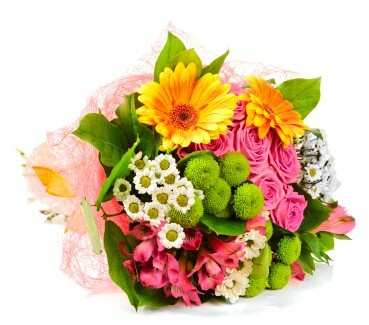 Colorful bouquet filled energy and happiness, this is the perfect gift to someone in Brazil. This bouquet features pink roses, pink Peruvian lilies, white daisies and yellow gerberas or daisies. 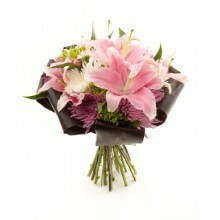 "This was my first time purchasing flowers for delivery in Brazil, and I was extremely pleased with the results. The flowers were delivered on time, and matched almost perfectly what I had ordered. The delivery company made contact with the recipient very quickly, and ensured the flowers were delivered in a courteous and professional manner. "